On February 27th, 2014, SPRING hosted the February Ag2Nut Community Call, co-sponsored with the Food Security Information Network (FSIN). The discussion followed up on an area of mutual interest among SPRING, Ag2Nut, and FSIN. Access to adequate food for all is a universal vision. It is a goal in the UN Zero Hunger Challenge, and will be part of the post-2015 development agenda. A pressing question is how we as a global community can track progress toward this goal and be accountable to it. Recognizing that access to diverse, nutritious foods is essential, there is a consequent need for monitoring systems to capture not only access to adequate calories, but also access to adequate *nutritious* food. Anna Herforth (Independent Consultant) introduced the topic and presented a historical overview leading to current indicators that are monitored. Alexis Hoskins (WFP) provided a recap of the FSIN community of practice's mutual interest in this topic, the reason for FSIN's co-sponsorship of the call. Rebecca Heidkamp (Johns Hopkins Bloomberg School of Public Health) presented the "Nutrition Evaluation Platform" project of Johns Hopkins Institute for International Programs, which aims to bring together existing sources of district-level data (e.g. national surveys, surveillance, routine reporting) to answer a range of policy-relevant evaluation questions. Carlo Cafiero (FAO ESS) and Catherine Leclercq (FAO ESN) introduced the group to their respective activities at FAO to develop indicators of economic access to food, and proxy indicators of dietary quality. 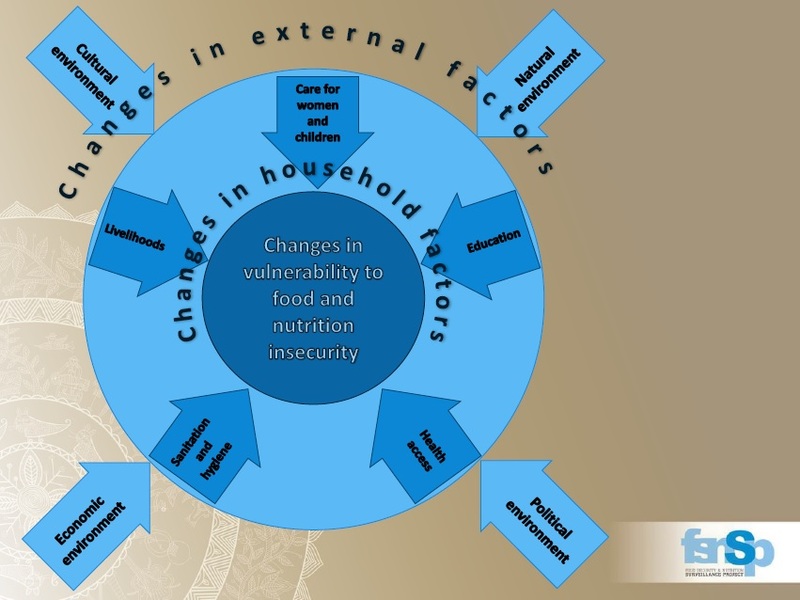 Erica Khetran (HKI) introduced the Food Security and Nutrition Surveillance Project in Bangladesh, which tracks relevant indicators at national scale.